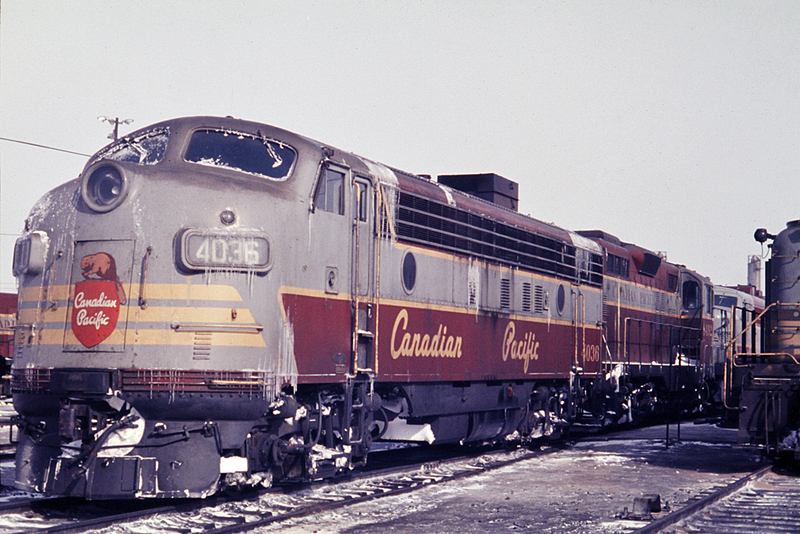 Railpictures.ca - Dave Burroughs Photo: Oh the days of grey and maroon. Lots of neat stuff gathered here at Agincourt. Along with the F-unit, there is a GP9, an MLW FA unit and an RS3. | Railpictures.ca – Canadian Railway Photography – photographie ferroviaire Canadienne. Caption: Oh the days of grey and maroon. Lots of neat stuff gathered here at Agincourt. Along with the F-unit, there is a GP9, an MLW FA unit and an RS3.